I love a good off-the-shoulder shirt — which, if you follow me on Instagram, you well know already. 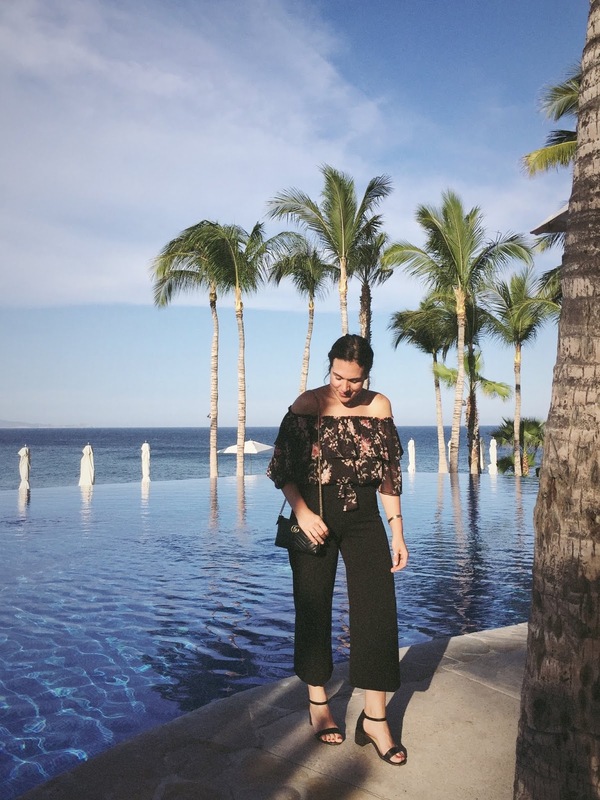 And this ruffled, floral-print top from the brand Ever New was the perfect piece to pack on my recent trip to One&Only Palmilla Resort in Los Cabos, Mexico. Are you loving off-the-shoulder tops, too?